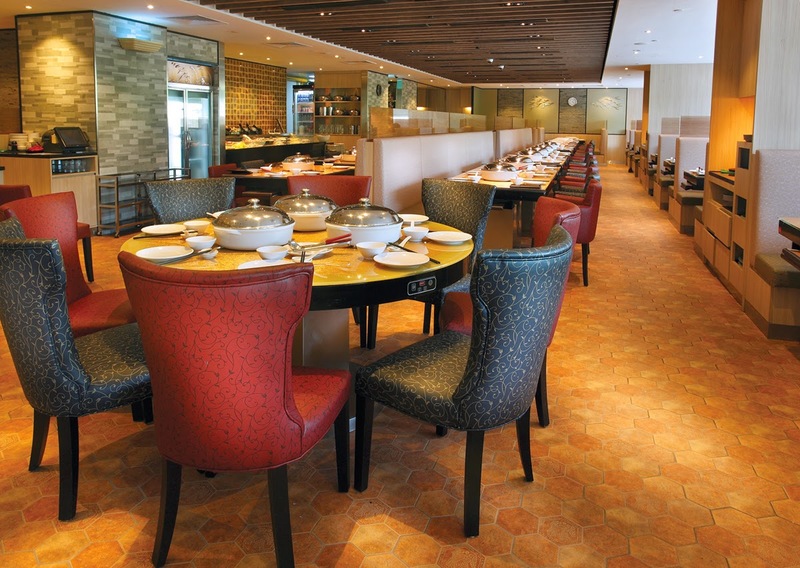 Have you tried the recently-transformed dining experience at Crystal Jade's Plaza Singapura outlet? Hailed as the all-new Crystal Jade Steamboat Kitchen, this new food establishment offers steamboat buffet at wallet-friendly prices. This new restaurant is an extension of Crystal Jade's current operations, so here are 10 Things about Crystal Jade Steamboat Kitchen you probably didn't know. 1. It's homely and welcoming! Remember all those times you visited Crystal Jade with your family, loved ones and friends? The soft lighting of the 140-seater restaurant creates the ideal warm-and-fuzzy atmosphere for great conversations to be born. 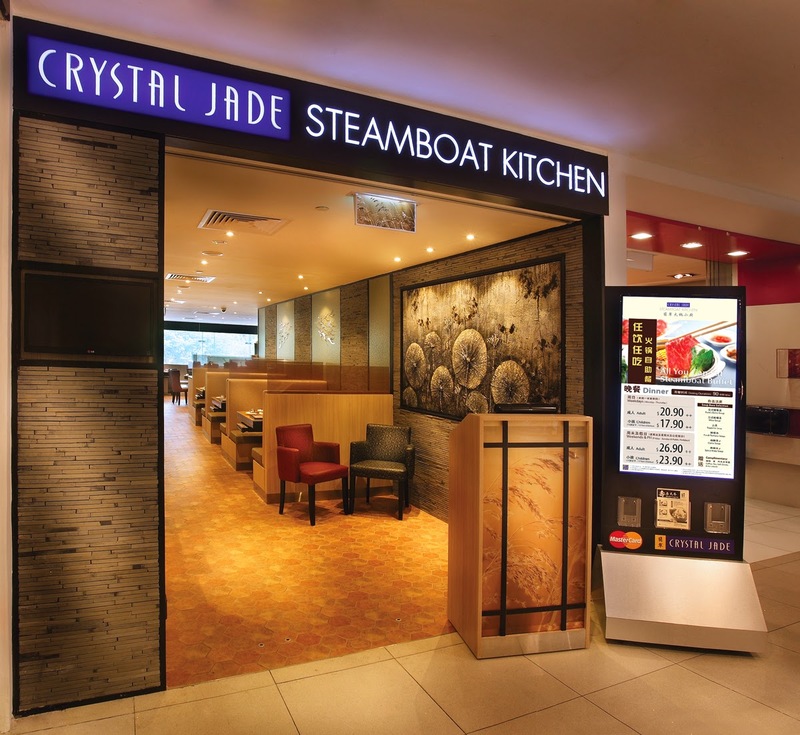 Crystal Jade Steamboat Kitchen enhances the experience with their knowledgeable and friendly employees. I asked several questions about the origins of the food and they KNOW them all! These include Pork Bone soup, Tomato soup, Curry soup, Miso soup and Superior soup. Those who have fiery tastebuds and would prefer something more intense, challenge yourself with the Spicy Mala soup. 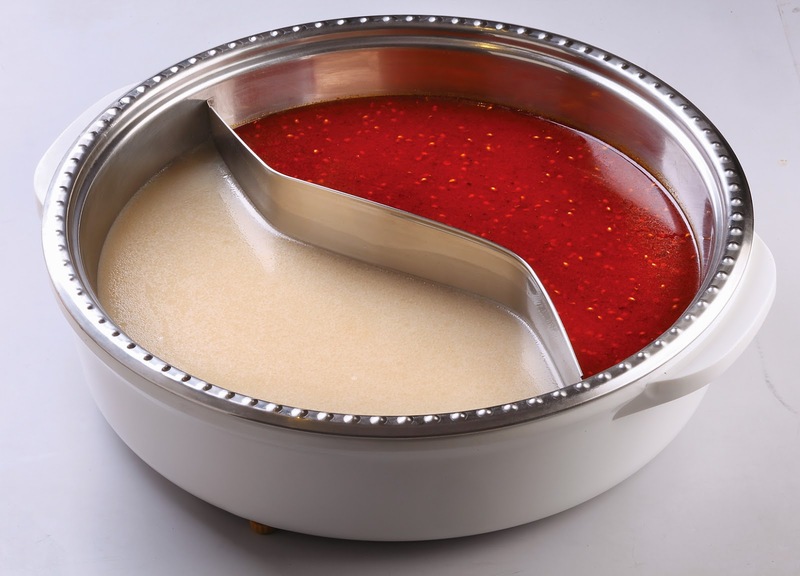 Each steamboat pot comes with two compartments so you can choose to enjoy different soup bases. Crystal Jade Steamboat Kitchen offers a wholesome spread of more than 35 ingredients including fresh chicken, pork and beef slices, mussels, mushrooms and vegetables. This is probably more than the average number of ingredients I usually have at reunion dinners at home! What's so special about home-made food? Well, the recipes ignite nostalgic memories in your subconscious. 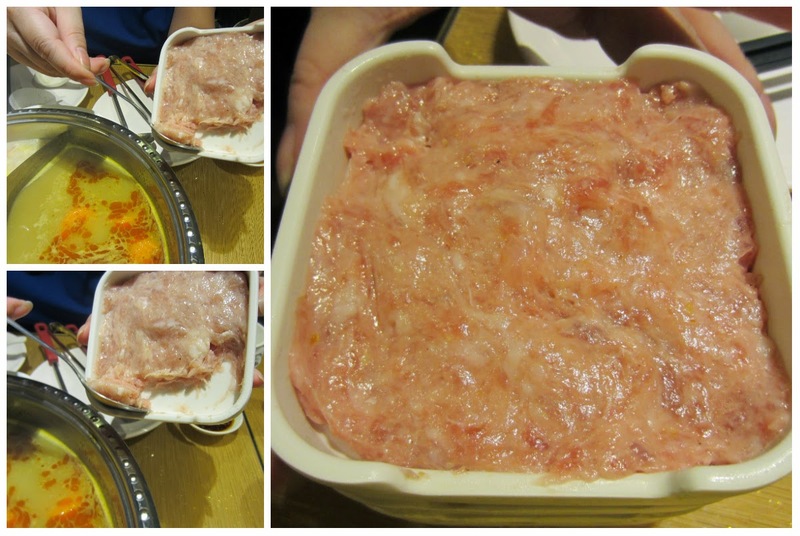 I really loved how Crystal Jade enables us to be creative in shaping our meat with these slabs of paste. You can simply dunk the entire slab into the soup in one flat squarish chunk, or attempt to make your own meatballs, and trust me, that takes a lot of skill. More importantly, the intense flavours and smooth texture of the meat pastes were well-received by my tongue. Most of us simply want to tuck into our food without waiting. 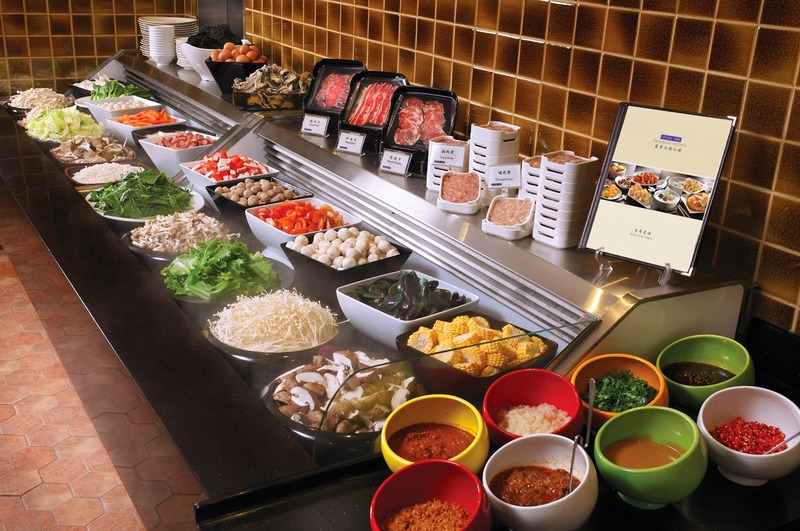 I was delighted to know that cooked items are offered daily at the buffet counter. I tried the Deep Fried Fish Skin, Deep Fried Chicken Skin and Deep Fried Mushroom Stems. They were flavoursome on their own, but you may choose to dip them into the soup for that extra richness. My personal favourite would be the Fish skin because it was really crunchy and chock full of briny deep-sea goodness! You don't like beef? Not to worry — there's pork. You don't like pork? Well, there's chicken. These meats are kept refrigerated and only served upon ordering. This ensures their freshness! 7. Missing the traditional Cantonese favourites? They didn't forget your roasted combination platter! The Roasted Combination Platter (S$25.80/per serving) is definitely great for carnivorous beings like myself. The Roast Duck is served with a golden proportion of meat and fat. These ducks are specially selected from Ipoh duck farms, where newborn ducks are raised to 7 weeks of age. The ducks are seasoned with various Chinese herbs stuffed in their stomachs before being roasted. The Quality pork belly is seasoned with salt and five-spice powder, before being roasted for 1.5 to 2 hours. The crispy skin and flavourful juicy meat is not to be missed! Last but not least, the Honey Barbecued pork is glazed with a mixture of honey and sauces and skewered with long forks before being placed to roast. Another quintessential favourite at Cantonese dim sum restaurants, each piece is packed with soft, fragrant yam with juicy minced meat and deep fried with delicate golden flakes. You can get this a-la-carte for only S$4 per serving (3 pcs). 9. They have one of the freshest Ha-Kau you can find! The fresh shrimps are wrapped with a thin layer of dough skin and steamed in a traditional bamboo basket until the skin is translucent. They're really juicy and fresh! Didn't understand why they were so slippery to pick up though. The Steamed Shrimp Dumplings are priced at S$4.60 per serving of 3 pieces. 10. Chewy and the colour of sunshine, this never fails to satisfy. You'd be surprised at how juicy the Steamed Pork & Shrimp with Crab Roe Dumplings (S$4.20 per serving of 3 pieces) are! They are really moist and matched the lofty standards of all the steamed dim sum. Addictive to the max! Thanks to Crystal Jade Steamboat Kitchen for the media tasting session. Now I know where to go for my next gathering! I recently visited Singapore after completing my manhattan experience tour with my whole team. I visited about 3 months ago. I know about Crystal Jade's Plaza and I also have tasted its delicious food. One of my favorite dishes is Steamed Pork & Shrimp it was offered with Crab Roe Dumplings they were juicy and moist that I had never eaten before.